What is a Clean Energy Council Approved Retailer? Early in 2016, we raised the bar and became signatories of the Clean Energy Council Code of Conduct. We are now recognised as Clean Energy Council Approved Solar Retailers. The CEC is the peak body for the Solar energy industry in Australia. They developed the Code to provide consumers peace of mind when deciding on which company to purchase a solar power system off, and to clean up an industry so full of cowboys. The Code should not be confused with similar logos you may see advertised. What’s the difference between a CEC accredited installer, a CEC Accredited Designer, A CEC Member, and a CEC Approved Solar Retailer? A CEC accredited installer is a personal work licence – it’s not a business accreditation. To install solar first, you have to be a licensed electrician; then you can train and apply to be a CEC accredited installer/ designer. 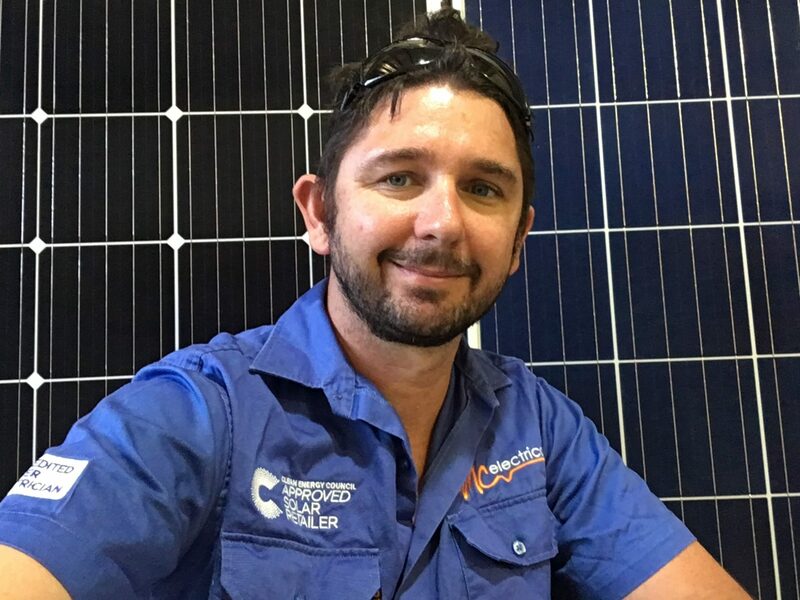 The CEC does a great job of controlling the quality of the workmanship under this program, the solar industry would be so much worse off without this well regulated CEC accreditation. However, your warranty doesn’t lie with the installer but the company that sold you the system. There is no requirement for the company that sold you the system to be an electricians, be solar accredited or even be educated in solar. There are around 4500 accredited installers in Australia. CEC Membership is about being involved with the work of the Clean Energy Council and supporting them with their important work of promoting renewable energy. Member levels vary and come with increasing levels of engagement in working groups and forums, priority for sponsorship opportunities and votes at the AGM. There are currently over 400 CEC member companies. A Clean Energy Council Approved Retailer is different. It’s about a solar business adhering to a code of conduct in their dealings with the public. To apply, amongst other things, you can’t have a relevant history with the ACCC or Fair trade. You can’t be a phoenix company: you cannot be a past director, manager or close relative rising from the ashes of a previous failed solar company. Well, that just narrowed the field! We were the 24th Solar company in Australia to sign the code. As of April 2017, there are only 40 approved retailers out of 84 applications. As a licenced electrician, electrical contractor, CEC accredited designer & installer, I have chosen to go one step further and sign the code of conduct. On signing the code, I willingly opened my business up to the scrutiny of the CEC through their thorough application process. Amongst other things, we had to adjust our policies and procedures. It also means the CEC will audit us from time to time to ensure compliance. If a customer believes we have broken the code, the can report that to the CEC. Uphold consumers’ rights about cooling-off periods and refunds, giving customers the opportunity to cancel a contract and receive a full refund if changes are made that are not approved in writing (including changes to the system design). Provide consumers with all required documentation after the system is installed. Adhere to all existing legislation and regulations. The Clean Energy Council Code of Conduct is a much-needed code in the solar industry. 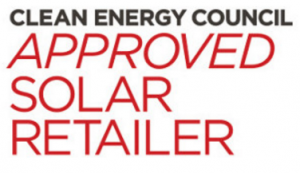 We’re all proud at MC Electrical to have signed up as CEC Approved Solar Retailers. If you are interested in getting a quote for solar that you can trust, contact us or wander around my blogs to get up to speed with solar. Thanks for this informative blog about budget solar buying tips. Such a very simple point, yet very remarkable. Hi Heinz. Interesting question. An automated process is the best for solar. Panels like Winaico, LG and SunPower we can guarantee are automated. Many others we can not. are the sun solar panels manufactured by robots or by any other method? Hi Mark, I'd be surprised if it is a Jinko panel fault, I'd be interested to see the panel. If it is, a warranty on the panel will not be an issue. You will have to pay for the labour. Depending on the orientation of your panels (eg if east-west) then your peak in winter will be low. We'll call you today, or contact us on 0732683836. G’Dday, My name is Mark, and I have a problem, one of my solar panels has gone silver, I think it has gone dead. I had Electroy install my Jinko Solar Panels x 20, and Aurora 5KW Inverter. Also, the system doesn't seem to power much more than 3KW on a 5KW system, can you help me please. I know that there will be a service fee, but how much and what to do from here is the next question, Thanks, Mark Ramsay.